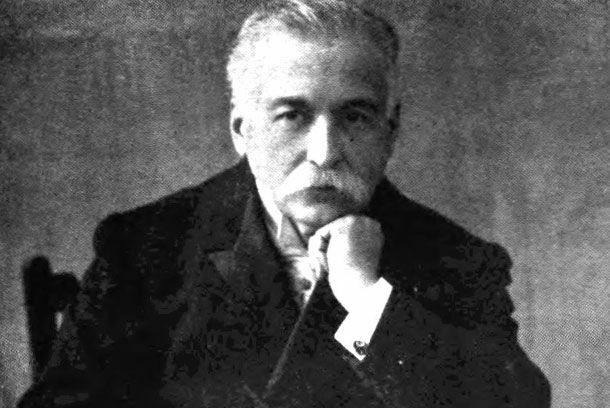 Just before the turn of the 20th Century, as Queen Victoria was celebrating her Diamond Jubilee, renowned hotelier Cesar Ritz (as in The Ritz) and renowned chef Auguste Escoffier (as in the progenitor of the all modern, French-influenced cuisine) committed one of the first tabloid-worthy restaurant crimes in modern times while employed by London's Savoy Hotel. The pair were planning to open the Carlton Hotel in 1898, and during the previous year they swiped the equivalent of about $800,000 (in current dollars) worth of fine wine and spirits to woo potential investors at lavish dinners. Also, Escoffier managed to skim another $3 million or so through "commissions" on deliveries from suppliers to the Savoy kitchen. The two were fired as soon as their crimes were found out, but their dismissal was covered up for almost a century and lost to the Savoy's archives. "Big Jim" Colosimo was known for years around Chicago as the head of a prostitution ring of some 200 brothels. By the time Prohibition rolled around he had established himself as the head of a crime syndicate ultimately called the Chicago Outfit, as well as the owner of a popular Italian restaurant called Colosimo's Café where diners often went to dine in the company of known gangsters. Al Capone's first job in Chicago was as a bouncer and bartender at Colosimo's brothel the Four Deuces, and it's believed that Capone was the gunman in Colosimo's 1920 murder, which occurred at his restaurant after henchman Johnny Torrio told Colosimo to wait there for a delivery. The killing then left Torrio in charge of the city's crime scene, and ultimately, Capone. One of the most notorious murderesses in Georgia history was Anjette Lyles, a 32-year-old woman who not only poisoned her nine-year-old daughter in 1958, but was later believed to have murdered her first two husbands and a mother-in-law as well. Lyles was for years the beloved proprietor of a thirty-year-old restaurant on Mulberry Street in downtown Macon, opened by the family of her first husband Ben. Ben died mysteriously in 1952, as did her second husband, Joe Neal, of a "weeping rash" in 1955; and then her mother-in-law Julia Lyles died mysteriously in 1957. But it was after Lyles's daughter Marcia became suddently sick and died in April 1958 that Lyles was finally arrested and tried, and ultimately convicted of murdering all four people by arsenic poisoning using overwhelming circumstantial evidence. She showed little grief or remorse over any of the deaths, and was said to have laughed in her daughter's hospital room while she convulsed and hallucinated. Lyles has the distinction of being the first white woman ever sentenced to Georgia's electric chair. 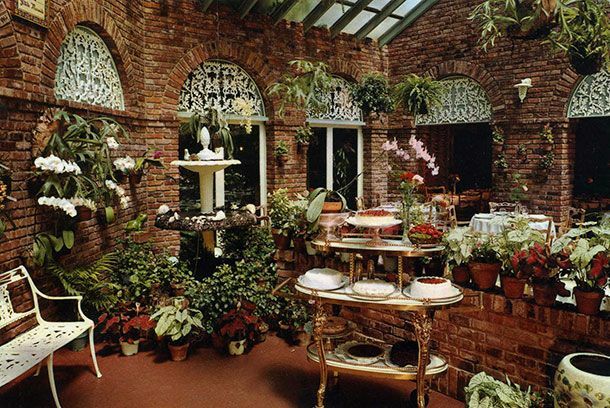 Ma Maison was, during the early eighties, L.A.'s most fashionable restaurant. 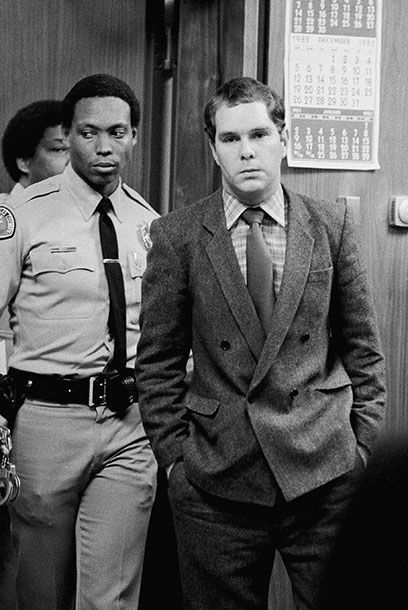 In 1982, 26-year-old sous chef John Thomas Sweeney — who worked under chef Claude Segal shortly after opening chef Wolfgang Puck moved on to open Spago — became the center of a front-page murder story and was convicted in the strangling death of 22-year-old Poltergeist actress Dominique Dunne, the youngest daughter of writer Dominic Dunne, who had been his girlfriend. People tells the story of Sweeney's 1983 trial in which he was convicted only of voluntary manslaughter, but without the jury knowing he had a history of domestic violence and jealousy. He was released from prison in 1986, and continues to live life as John Maura and was last known to be working as the director of food services for a retirement community in San Rafael, California. When maitre d' John Cunin saw that chef Masa Kobayashi failed to appear in the kitchen of his eponymous restaurant one Tuesday afternoon in November, 1984, he knew something had to be wrong. Chef Masa, 45, had not been seen since he left work Saturday night, and with his wife and children out of town no one had checked on him. He was murdered in his nearby Nob Hill apartment, presumably after a scuffle heard by neighbors late that Saturday, and the crime remains unsolved to this day. Another San Francisco chef, Jeremiah Tower, who opened Stars earlier that same year, wrote in his memoir California Dish that he had received some threatening letters that year, and that a mysterious, abandoned van containing more such letters to him and other chefs was found near his home around the time of the murder. 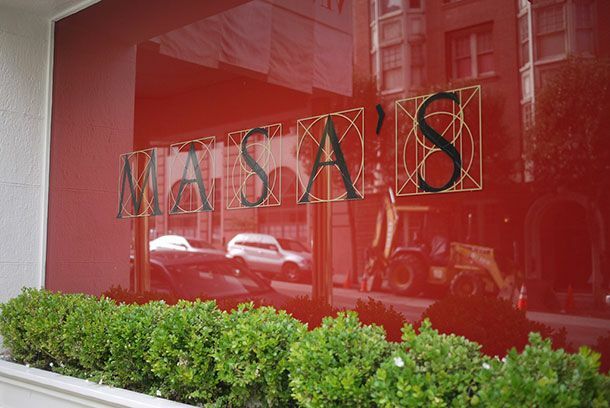 Masa's remains a fine-dining mainstay in San Francisco to this day. Whitey Bulger, the famed Boston mobster who turned state's witness in 1975, used to collect his "unpaid loans" at the Irish bar formerly known as Triple O's (now The Six House) in Southie. In 1990, Triple O's was raided by the FBI in search of evidence against Bulger, and in 1994 Bulger went on the lam amid threat of an indictment. Bar owner Kevin P. O'Neil ultimately gave up the bar in 2000 and pleaded guilty to charges of racketeering, money laundering, and extortion. 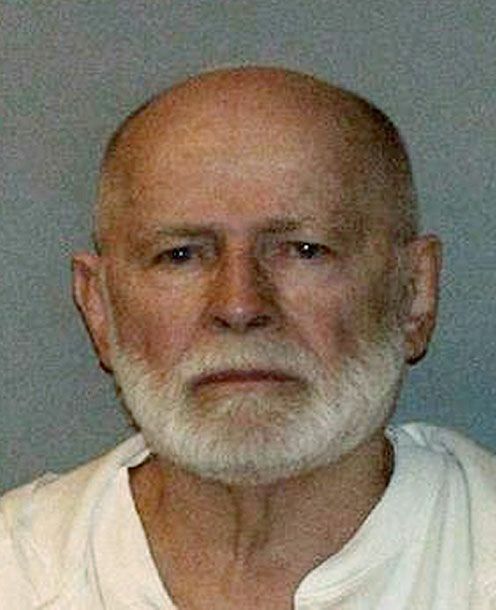 Bulger, of course, finally turned up in Santa Monica, California last year, and just this week his defense team dropped a bombshell: Bulger says he was granted immunity from all future prosecution in the seventies, and he's been holding that get-out-of-jail-free card all this time. On Halloween, 1989, Nicodemo Scarfo, Jr., a.k.a. Nicky Scarfo, took eight bullets from an automatic weapon to his neck, arms, and torso while trying to enjoy dinner at Philadelphia restaurant Dante & Luigi's. 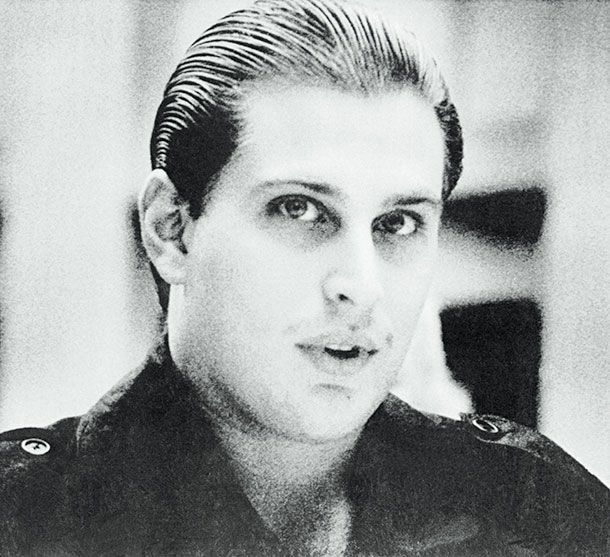 He was 25 at the time and the second son of convicted crime boss "Little Nicky" Scarfo of the Lucchese crime family of Philly, and he survived the assassination attempt. His younger brother Mark had tried to hang himself the previous year during their father's trial, just weeks before his conviction — Mark Scarfo, then 17, remains in a coma and on life support to this day following the suicide attempt. Allegedly, other mobsters were upset with Little Nicky Sr. and made the attempt on Nicky Jr.'s life out of revenge. Nicky Jr. remained part of the family and doing various criminal things over the years, and is currently incarcerated following a 2011 arrest for involvement in a scheme to embezzle millions from FirstPlus Financial Group. It was a robbery that netted less than $2,000. 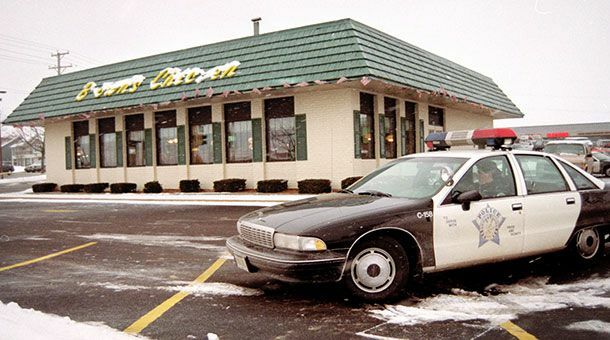 The brutal murder of seven restaurant employees at Brown's Chicken in Palatine Village outside Chicago rocked the state in 1993, remained unsolved for nine years, and continues to be featured on late-night cable crime shows. Killer Juan Luna and co-conspirator James Degorski were finally arrested for the massacre in which the seven people were herded into a walk-in freezer and shot in 2002, after two women came forward claiming that the men had confessed to the crime within 24 hours of it happening. Luna was convicted of committing the murders but ultimately spared the death penalty because of the reluctance of a single juror. 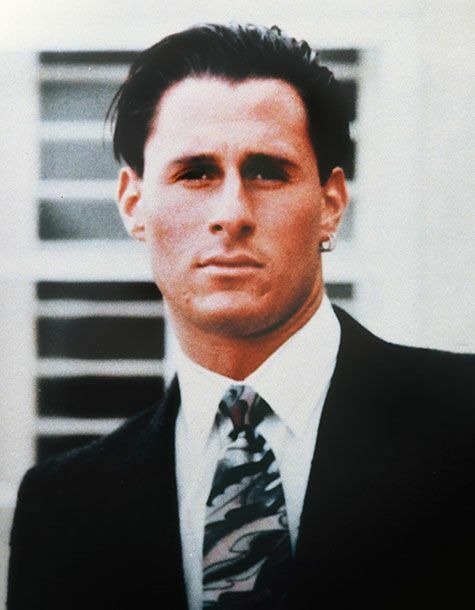 Ron Goldman, the handsome alleged boy toy of Nicole Brown Simpson, was a server at Mezzaluna trattoria in Los Angeles' Brentwood district. He waited on Simpson on the last night of her life, June 12, 1994, and offered to return a pair of subscription sunglasses that Simpson's mother had accidentally left at the restaurant while dining there with her family. Goldman first stopped by his apartment to change out of his work clothes before walking to Simpson's condo that evening, where both he and Simpson were stabbed to death around 10 p.m. 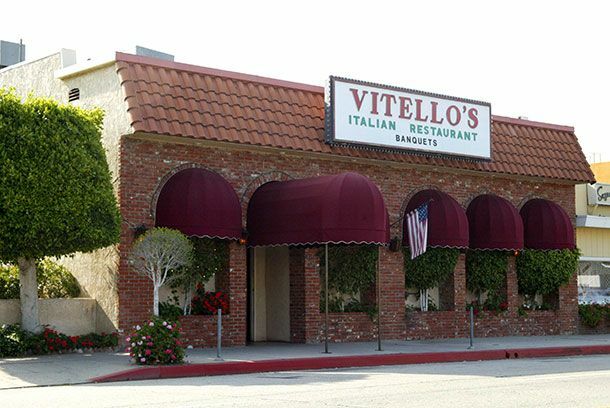 The restaurant closed three years later after becoming an internationally known locale in the O.J. Simpson trial. 71-year-old Geraldine Pucillo, longtime hostess and prorprietor at Palm Beach restaurant Petite Marmite, was found dead in her bathtub in June 1996, her hands bound behind her back, strangled with her own dress, and wearing a housecoat. 32-year-old Kim Cain, a pest-control worker and gambling addict with a history of stealing from clients, was arrested after pawning a bracelet belonging to Pucillo, ultimately convicted in the killing. Despite trying to appeal his conviction 2000, Cain is still serving a life sentence. This would be the place where actor Robert Blake claims to have left his handgun, which he went back to retrieve just as his wife Bonnie Lee Bakley was being murdered while sitting in their car around the corner on May 4, 2001. Blake and Bakley had dined at the restaurant just prior to the shooting of Bakley, and Blake told police he had gone back inside the restaurant to retrieve his own own gun, a .38 caliber pistol, which he says he left at the table. Blake's weapon was tested and determined not to have been the murder weapon, which was a 9 millimeter. Blake was ultimately acquitted but convicted in a civil suit filed by Bakley's three children, finding him liable in her wrongful death. He's kept a low profile ever since. Once a glittery culinary destination for well-heeled Bostonians in the 1980s, and the setting of Jack Lemmon's 60th birthday thrown by Walter Matthau in 1985, the Bay Tower Room atop the former Ritz-Carlton Hotel lost its luster by the nineties. Owner and real estate developer Gerald Blakeley tried multiple times to sell it, and after September 11th things got even worse for the place as fewer people had the stomach for dining atop tall towers (San Francisco's famed Carnelian Room suffered a similar fate). But a promising chef named Paul Diogenes, who offered to buy the restaurant in 2006 only turned out to be a swindler who pretended to put his own money into the business, only to write checks out of the restaurants' accounts allegedly to pay off bookies and buy drugs. It was believed he stole as much as $650,000 before he was through. The restaurant was ultimately sold and is now an event venue called The State Room. "Big Jim" Colosimo was known for years around Chicago as the head of a prostitution ring of some 200 brothels. By the time Prohibition rolled around, he had established himself as the head of a crime syndicate ultimately called the Chicago Outfit as well as the owner of a popular Italian restaurant called Colosimo's Café, where diners often went to dine in the company of known gangsters. 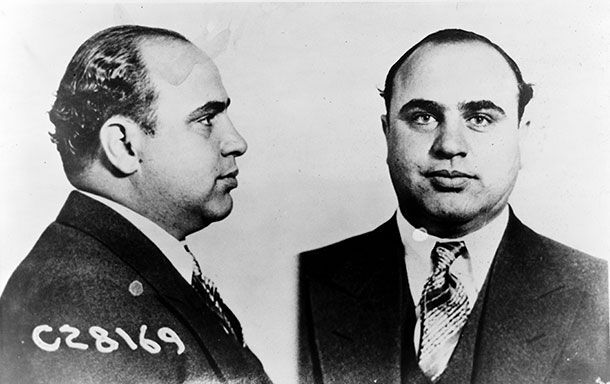 Al Capone's first job in Chicago was as a bouncer and bartender at Colosimo's brothel the Four Deuces, and it's believed that Capone was the gunman in Colosimo's 1920 murder, which occurred at his restaurant after henchman Johnny Torrio told Colosimo to wait there for a delivery. The killing then left Torrio in charge of the city's crime scene and, ultimately, Capone. Whitey Bulger, the famed Boston mobster who turned state's witness in 1975, used to collect his "unpaid loans" at the Irish bar formerly known as Triple O's (now the Six House) in Southie. In 1990, Triple O's was raided by the FBI in search of evidence against Bulger, and in 1994, Bulger went on the lam amid threat of an indictment. Bar owner Kevin P. O'Neil ultimately gave up the bar in 2000 and pleaded guilty to charges of racketeering, money laundering, and extortion. Bulger, of course, finally turned up in Santa Monica, California, last year, and just this week, his defense team dropped a bombshell: Bulger says he was granted immunity from all future prosecution in the seventies, and he's been holding that get-out-of-jail-free card all this time. 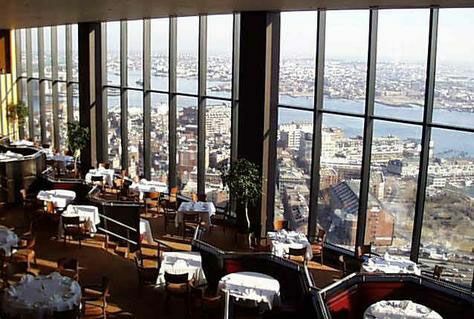 Once a glittery culinary destination for well-heeled Bostonians in the eighties and the setting of Jack Lemmon's 60th birthday thrown by Walter Matthau in 1985, the Bay Tower Room atop the former Ritz-Carlton Hotel lost its luster by the nineties. Owner and real estate developer Gerald Blakeley tried multiple times to sell it, and after September 11, things got even worse for the place as fewer people had the stomach for dining atop tall towers (San Francisco's famed Carnelian Room suffered a similar fate). But a promising chef named Paul Diogenes, who offered to buy the restaurant in 2006 only turned out to be a swindler who pretended to put his own money into the business, only to write checks out of the restaurants' accounts allegedly to pay off bookies and buy drugs. It was believed he stole as much as $650,000 before he was through. 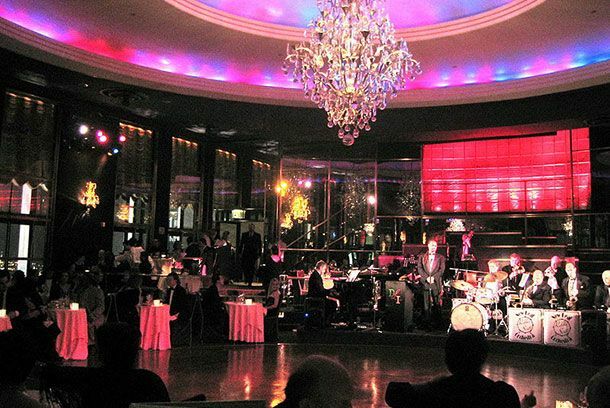 The restaurant was ultimately sold and is now an event venue called the State Room. 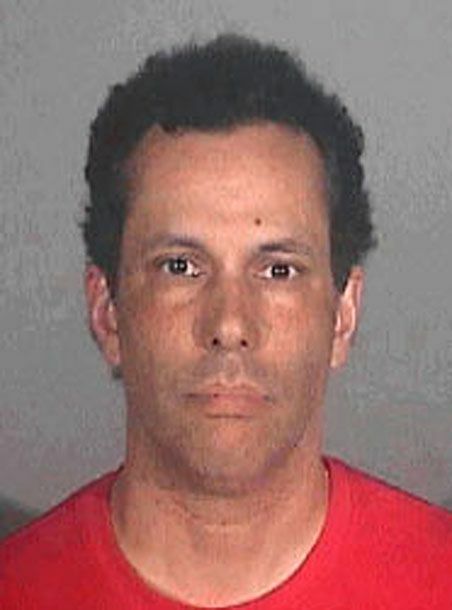 Three men, including Esequiel “Paul” Garcia (pictured) were charged in the first-degree murder of restaurateur Mark Achilli, 53, who owned the 180 Restaurant & Lounge in the San Jose suburb of Los Gatos. 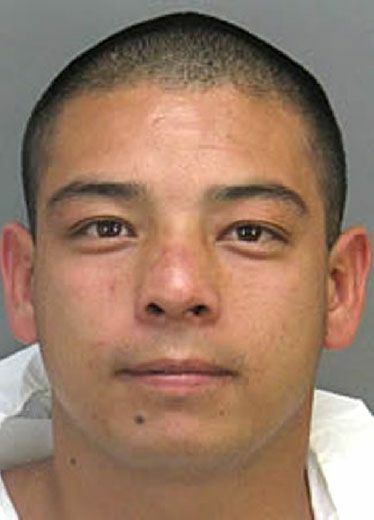 Garcia planned the murder of Achilli after a woman they had in common, Tessa Donnelly, chose Achilli over him, and he was found guilty of first-degree murder in 2010. 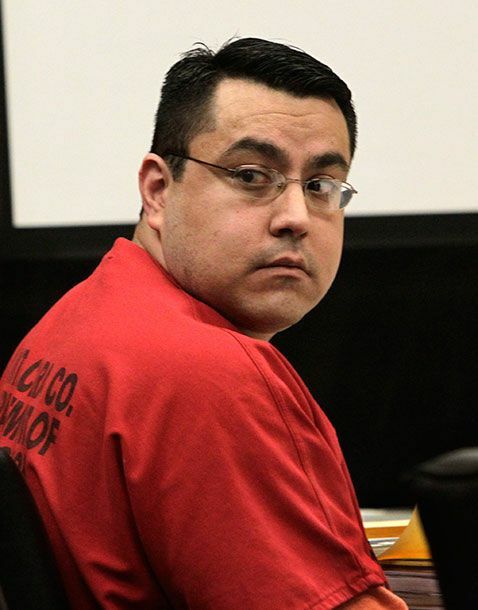 Garcia, as of May 2012, is still trying to get a retrial, claiming the judge in the case was biased against him. Seeming sociopath Dan Kaufman, who also has gone by the name Dan Kay, once claimed to be a James Beard Award–winning chef who hung out with Gordon Ramsay, Johnny Iuzzini, and Emeril Lagasse and worked for years at the Rainbow Room. This fictional character also was a producer on the show Hell's Kitchen who managed to convince several actual cast members on the show that that he had worked on it, even though he hadn't. In reality, he seems to be the same person who Brooklyn Heights blog dubbed "the Busted Chef." Turns out he liked to steal credit cards from friends and customers. Dan Kay, just this month, took on a new identity as "the Montauk Grifter," whom Gawker has identified as a sketchy dude who claims to have a big tech job, recently worked with Lady Gaga, and chats up random women on OKCupid. You've been warned, random women surfing OKCupid in the Hamptons. Juan-Carlos Cruz (pictured), 50, was the pastry chef at the Hotel Bel-Air becoming the Calorie Commando on the Food Network. In 2010, he was arrested for trying to pay a homeless man $1,000 (torn in half) to murder his wife, allegedly because he was frustrated by her inability to conceive children. The homeless guy turned him in. In the court proceedings, the homeless witness claimed Cruz gave him dog treats and told him not to hurt his dogs in the commission of the murder. Cruz was ultimately sentenced to nine years. Counting calories, clearly, can drive a person to do awful things. 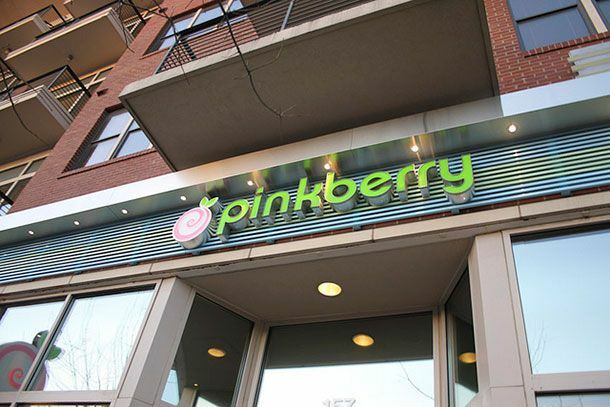 Young Lee, who founded the enormously popular fro-yo chain Pinkberry in 2005 with partner Shelly Hwang, was arrested in January 2012 for the June 2011 beating of a homeless man with a tire iron. The homeless man's offense? He had approached Young's car at a red light and asked him for spare change. 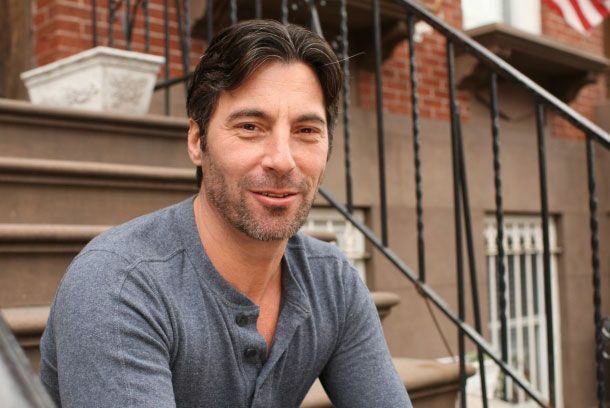 New York Grub Street will recall the recent tale of hometown chef Mark Iacono, who was stabbed multiple times outside Joe's Superette in Brooklyn's Carroll Gardens neighborhood. 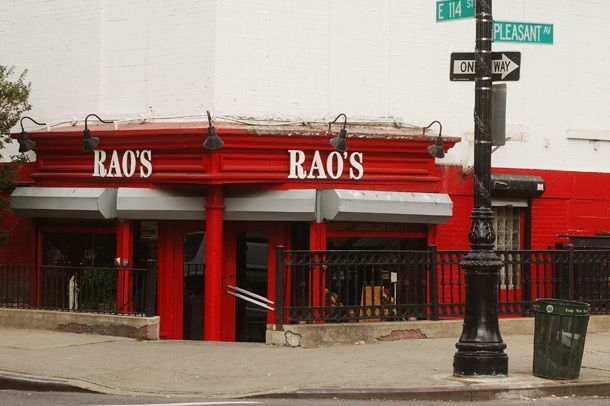 Joe's has since closed, and Iacono was cleared of any wrongdoing. He talked about "the altercation" with Grub Street: "My leg got it the worst — the femoral artery. I have no feeling in, say, about 50 percent of my body, maybe forever. But that's okay, it's nothin' really." That's how they raise 'em in Brooklyn. San Francisco saw one of the most brutal multiple homicides in decades recently at the home of Hua Shun Lei, 65, who worked for eighteen years as a line cook at well-loved Chinatown restaurant R&G Lounge. Lei spoke no English, and he and four other people, including his wife, son, and daughter, were all killed one night in March in a brutal attack that may or may not have had something to do with the son's gambling debts. Alleged Vietnamese gang member Binh Thai Luc was arrested for the crime and is still awaiting trial. 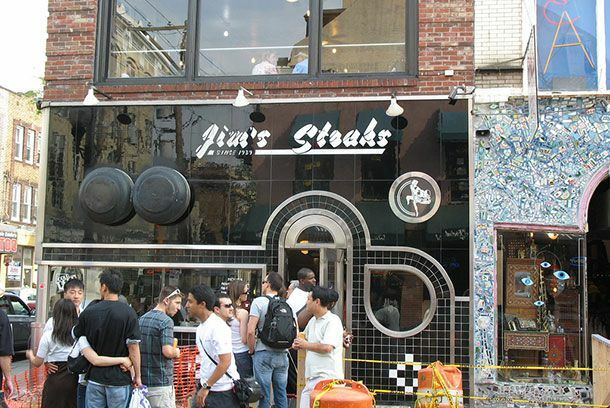 One of Philly's cheesesteak institutions, Jim's Steaks has now been busted twice in the last two years after employees were allegedly operating a drug ring on the premises. The most recent bust included the seizure of a stash of cocaine, weed, Xanax, Percocet, and a whole lot of cash. They were also busted last year when an employee was found with a similar stash of mixed narcotics and pharmaceuticals, and it's actually the fourth time someone there has been hit with similar charges. 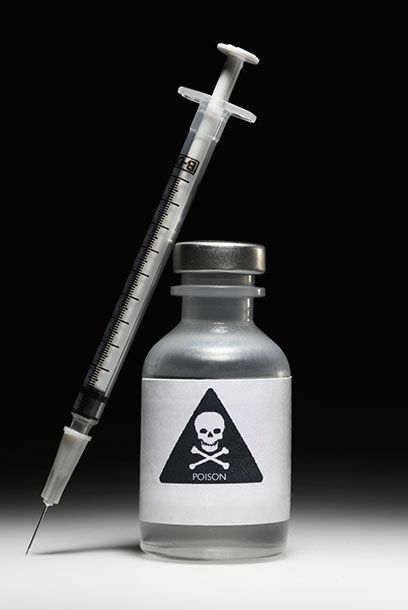 The first time was in 1990, when deceased owner William Proetto was nabbed with coke, weed, Valium, and something no one does anymore, Halcion. 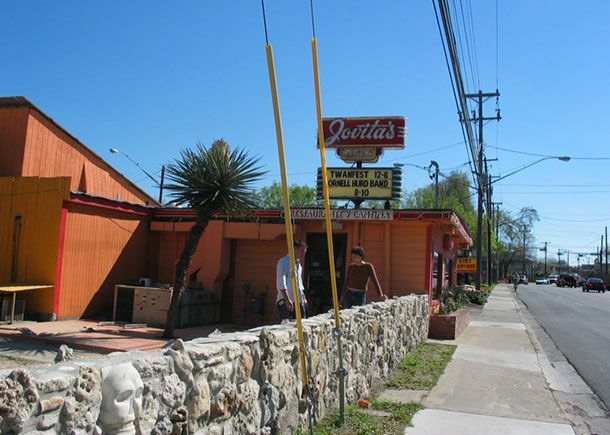 Last but not least, we have the most recent restaurant drug bust to make headlines, at Jovita's, a Tex-Mex place that also served as a live-music venue in South Austin. Eighteen employees and proprietors there were busted last week for their alleged connection to a wholesale heroin ring with estimated daily sales between $3,400 to $6,250, and fifteen of them are facing federal indictments. 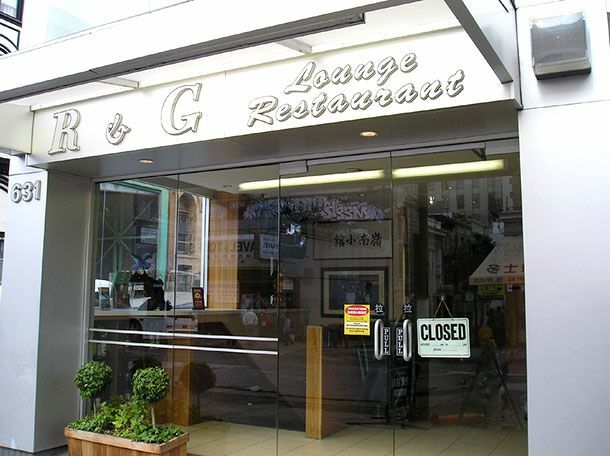 The restaurant is currently closed. Owner Jovita Pardo, whom the restaurant was named after, says she will do everything she can to reopen.